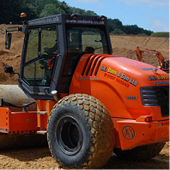 Course Aims: To provide thorough practical and theory training in the role of a Plant and Vehicle Marshaller, enabling the candidate to pass the CPCS Theory and Practical Tests. Select appropriate sector-specific PPE and resources suitable for marshalling duites. Examination Board The Construction Plant Competence Scheme (CPCS) is recognised by the UK Contractors Group (UKCG) and Major Home Builders Group (MHBG) as the preferred card to comply with codes of practice for competence and certification. It was launched in 2003 to help them comply with regulations and requirements and aims to apply common standards for all plant operators. Assessment To achieve the Red CPCS Trained Operator Card candidates must pass both the CPCS Theory Test and the Practical Test. Refresher / Re-qualification Information Once you have achieved your Red CPCS Trained Operator Card it lasts for 2 years.